Aggregates - Legends Landscape Supply Inc.
We carry a wide variety of products to suit your gardening and landscaping needs. 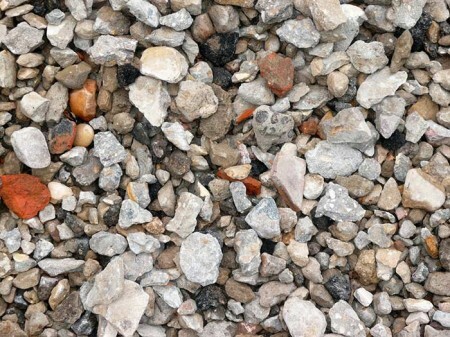 If you're building a new walkway, rebuilding your driveway, or building any other feature, chances are you're going to need more than one type of aggregate to complete the job. Fortunately, Legends Landscape Supply offers many products to help you bring your landscape dreams to life! Click here to calculate how much aggregate your current project will need, then hop over to our showroom for a consultation with one of our expert landscape professionals. Let us help you choose the right aggregate for the project. ¾" Clear Gravel or HPB is used as a base when compaction is not possible. It's good for drainage around foundations or under decks. ¾" Crushed Gravel can form a solid, compacted base under driveways or patio stones. Limestone Screening is ¼" in size and packs on top of the base level under driveways or patio stones. High Performance Bedding can be used to lay large slab interlock and patio stones without the need for compaction. Our 3/8" Pea Stone works well as a drainage product. Our 1-3" River Rock are beautiful decorative pieces to add to water features or as a border surrounding the house or patio. Brick Sand can be used to add to concrete mixtures, but also works well as a playground or sandbox material. Concrete sand is coarse and provides great drainage beneath interlocking patios or driveways. It is easy to grade and is the proper ICPI certified material to be used for interlock.